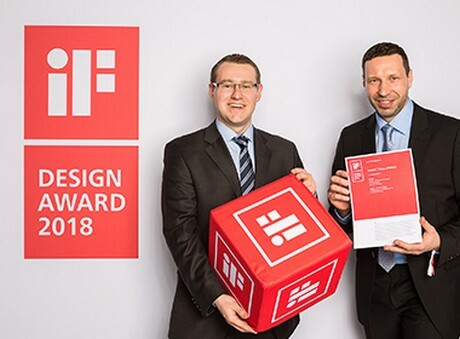 The modular packaging "THIMM COOLandFREEZE" for temperature-controlled shipping was awarded the iF Design Award 2018. The innovative shipping packaging enables the joint transport of frozen, chilled and non-refrigerated products within one package. 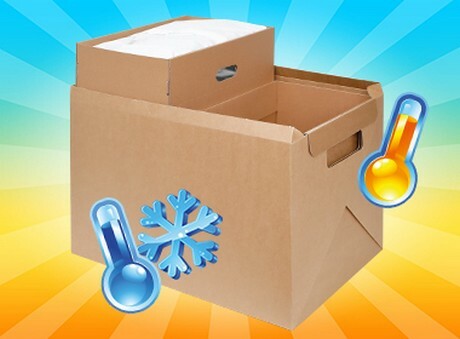 Multiple temperature zones within one shipping package make the "THIMM COOLandFREEZE" a sustainable innovation in e-commerce. The different zones are ideal for shipping temperature-sensitive foods or medical products. A combination with temperature-insensitive products is possible. The inlay for uncooled products consists of corrugated cardboard and is the basis for the other temperature zones. A blanket of natural fibers enclosed in polyethylene foil acts as an insulator. Water-based cooling batteries provide a target temperature below 3 degrees Celsius and create the transport area for refrigerated products. For frozen products, dry ice is used to reach a temperature of -18 degrees Celsius. By means of these cooling elements the level of product cooling is controlled and maintained for up to 48 hours. Delivery is either prefabricated or as a flat pack. This corrugated cardboard packaging is a more sustainable alternative to polystyrene or plastic shipping solutions. The iF Design Award has been regarded as an internationally recognized award for good design since 1953. Around 60 independent experts from more than 20 countries selected the award winners according to a clearly structured process based on firm criteria. The jury assessed innovation and development, functionality, design quality, responsibility and positioning. The award ceremony of the iF Design Award 2018 took place on 9th March in the BMW Welt in Munich.